It's the most wonderful time of the year! Holiday shopping, sipping cocoa near the fireplace, office parties, secret santa gift exchanges, and....dry hair. 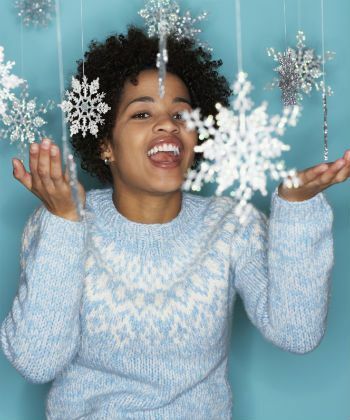 Winter weather can be especially rough on natural hair; the colder the climate, the worse off your hair. But all hope is not lost! Check out these 5 winter hair woes, and how to ward them off before the family Christmas photo! Wash hair with lukewarm, not hot water. Hot water is drying - to the hair and skin. Although a hot steamy shower may feel good, it does nothing but leave your hair dry and prone to frizzing. Cleanse your hair more often. Naturals are known for stretching out the time between washes, in the name of low manipulation. This can be potentially damaging - slathering creams, lotions, and butters atop the hair for weeks on end builds a barrier that makes it difficult for water to penetrate. Not to mention, buildup city. True moisture (water) is the single best and most efficient hydrator for hair. Regular washing helps ensure that your hair is getting enough. Amp up the deep conditioning. Deep conditioners are designed to help replenish moisture, improve elasticity, strengthen hair, and more. Save your "regular strength" conditioners for warmer months, and switch to deep conditioning every time you wash. Deep conditioners like TGIN Honey Miracle Moisture Mask provide the perfect mix of moisture, emollients, and nourishing ingredients to help hair retain moisture in the colder months. Some naturals deal with itchy scalps year-round, thanks to conditions like psoriasis and seborrehic dermatitis. But if your scalp only flakes up during the winter time, your oils and butters could be to blame. Certain butters are better than others at being occlusive - which makes them great for sealing, but can cause them to wreak havoc on your scalp. To moisturize your scalp minus the drama, try using jojoba oil, which is the closest in composition to the sebum our scalps naturally produce. To further give flaking the boot, add a few drops of rosemary and tea tree essential oils to the jojoba oil for a stimulating, antifungal/antibacterial scalp massage. For more flake-fighting power, combine 1 part raw apple cider vinegar and 2 parts water in an applicator bottle, and apply it directly to your scalp before cleansing your hair. Concentrate your deep conditioner on the ends first. Many conditioner bottles say to start at the ends of the hair, then work your way up. I never heeded those instructions, until I realized they were done purposely. The ends of our hair are the oldest and driest, and therefore need the most attention. The bulk of your deep conditioner should go on your ends first, and therefore stay on the longest. Also, use your thumb and index finger to actually "work" the deep conditioner into your hair (a nice little tip I picked up from a Devachan Salon stylist!). Don't skip the Leave-In! Naturals are known for not embracing leave-in conditioners. I know, because I was one of them. That is, until I realized how much of a difference deep conditioner actually made on my hair in terms of retaining moisture. Leave-Ins are the first line of defense in terms of retaining moisture; especially on the ends. Try Koils By Nature Moisturizing Shealoe Leave-In Conditioner to help up the moisture in your tresses. Check for buildup (and re-visit point #1). If you have previous product buildup in your hair, it can reduce the effectiveness of your hold/styling/defining product. Check your collar. Scarves, sweaters, jackets, and hoods can cause your hair a serious case of the frizzies, interrupting the definition you worked so hard to create. If possible, keep hair off of your neck and shoulders. If you can't, just make sure your hair is completely dry before layering on the warm clothes - so your hair has the chance to "set". Check your ingredients. Does your favorite styling product contain humectants like glycerin or honey? If so, it may be time to stash them until warmer weather arrives. In normal/warm conditions, humectants attract moisture from the air to your hair. In colder months, the opposite occurs. Dry hair = frizzy, undefined hair. Sealing ends with the right stuff. When its cold, oils and butters like coconut and shea become hard and congealed. 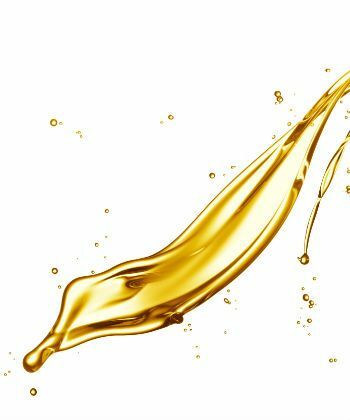 To maintain flexible, elastic, and breakage-proof ends, seal them regularly with a thick but liquid oil like castor (yellow or JBCO), sweet almond, or avocado. Trimming regularly. Sometimes, ends just aren't worth saving. If you're conditioning, moisturizing, sealing, and following every other recommendation but your ends won't budge from their downward spiral, it just may be time to let them go. Don't be afraid to! Keep up with TheManeObjective on her Blog, or on Facebook!